Dr Franklin Johnston, a strategist, project manager and advisor to the Jamaica Minister of Education, wrote a column in the Jamaica Observer of May 30, 2014 in which he basically contended that the Caribbean Common Market and Community (CARICOM) and the Caribbean Single Market and Economy (CSME) are the constructs of “Anglophone black people” and not in the interest of Jamaica. Rooting his contentions in anti-colonialist sentiment, he stated without evidence that CSME is a “clever fiction inspired by the Brits, aided by Cabinets, and sustained by well-paid, unaccountable regional civil servants”. He sets-up both CARICOM and CSME as hostile to the economic well-being of Jamaica. Further, he claims that “CSME zealots” all come to live in Jamaica; “we (Jamaica) are the big name brand”; “CSME disrespects us” (Jamaicans); and “we (Jamaicans) are small with a big brand and balls to match and need no union to prosper, but CSME controls us by making the arcane and distant familiar; “the phrase English-speaking Caribbean means zilch as CSME does not work”; and “Jamaica is the largest nation in CSME, so we are its backbone -- finance, market, innovation, brand value, yet we are the poorest member”. It is regrettable, for instance, that among the “Anglophone black people” who are accused of keeping “a colonial legacy alive” by constructing CARICOM and CSME would be radical Caribbean thinkers and leaders such as Michael Manley, P J Patterson, Norman Girvan, Louise Bennett, Arthur Lewis, Vaughan Lewis, William Demas, Eric Williams, Errol Barrow, Owen Arthur, C Y Thomas, Havelock Brewster, Shridath Ramphal, Alister McIntyre, T A Marryshaw and Ralph Gonsalves. The resistance of all these men, who were at the centre of the creation of CARICOM and CSME, to colonialism in all its forms, is well-known. It is a terrible slur to denigrate their magnificent efforts on behalf of the entire Caribbean. It has to be assumed that ardour for his argument temporarily blinded Dr Franklin to veracity. 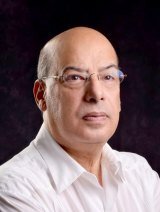 As for CARICOM and CSME being “clever fictions inspired by the Brits”, Dr Franklin denies a long history of agitation and advocacy for unity in the Caribbean by Caribbean people stretching back to the 1930s when their basic objective was to be rid of the British in an arrangement of independence by a unified Caribbean. While, after the 1961 referendum in Jamaica, the West Indian goal of joint independence was shattered, the reality that none of the countries could survive alone remained and inspired the creation of CARICOM and CSME by Caribbean development economists, political scientists and historians. While Britain regards greater economic integration of the Caribbean as important to the well-being of the people of the region, it is not alone in this view – the United States, Canada, Mexico, Venezuela, Brazil, Russia, India and China also hold this view based on the small size of the economies of the region and the benefits that could flow from integrated production and joint financial strategies and negotiations. It is most unfortunate that Dr Franklin, who advises the Jamaica Minister of Education, attempts to create a divide between Jamaicans and the people of other Caribbean countries by promulgating a false doctrine of Jamaican superiority as reflected in his remarks: “we (Jamaica) are the big name brand”; “CSME disrespects us” (Jamaicans); and “we (Jamaicans) are small with a big brand and balls to match and need no union to prosper, but CSME controls us by making the arcane and distant familiar. The people of other Caribbean countries greatly admire the accomplishments of Jamaican musicians, athletes and thinkers. Indeed, when Jamaicans compete in international spheres in all endeavours, Caribbean people root for them as one of their own. But, Dr Franklin should recall that little St Lucia with a population ten times smaller than Jamaica’s has produced two of the Caribbean’s three Nobel Prize winners in Arthur Lewis and Derek Walcott – the other being V S Naipaul of Trinidad and Tobago; Brian Lara of Trinidad and Tobago (with a population half that of Jamaica’s), remains the cricketer with the highest number of runs in test cricket; and the leadership roles played in the international community by persons such as Guyana’s Shridath Ramphal and Grenada’s Alister McIntyre are cause for pride by Caribbean people as a whole. Dr Franklin also asserts that “CSME zealots” all come to live in Jamaica”. Quite what he means by this statement is not clear, but if he is stating that Caribbean persons are migrating to Jamaica, the facts do not support him. While there are nationals of CARICOM countries who work in Jamaica under the skilled nationals certification programme, the number is miniscule in comparison with the number of Jamaicans who have migrated to countries such as Antigua and Barbuda. Further, in contradiction to the inference that Jamaicans play little role in Caribbean integration, the heads of several important Caribbean institutions are Jamaicans committed to the regional ideal. These institutions include the Caribbean Development Bank, the Caribbean Export Development Agency, the Caribbean Development Fund and the Caribbean Disaster Emergency Management Agency.